Mainz - First and foremost, Saturday's meeting of 1. FSV Mainz 05 and Borussia Dortmund at the Coface Arena is, of course, about earning points - points towards a possible second title defence in the case of the visitors, and towards the top-flight survival fund, for starters, in that of the hosts. Such, however, has been the upturn in Mainz's form of late that victory in this one would bring them to within two points of the champions, who have themselves been grinding out the results with relentless efficiency on the domestic front in recent weeks to supplement their sparkling performances on the European stage. Whatever their relative standings, though, an invariable talking point ahead of games between these two sides in recent seasons has been the "coach factor". 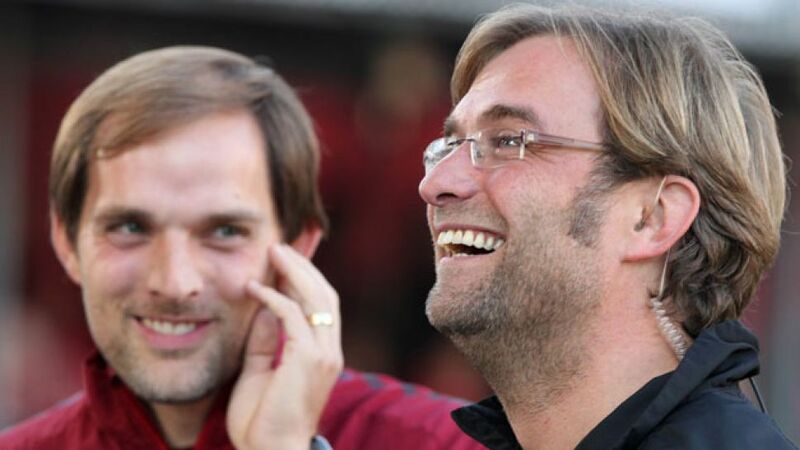 Jürgen Klopp, himself the leading light in a new generation of top-level tacticians, has often expressed his admiration for the work of his Mainz counterpart Thomas Tuchel - at 39, six years his junior. For a couple of years, their careers overlapped at FSV, whom Tuchel joined as Under-19 coach in 2006. Klopp vacated the hot seat there two years later to take over at Dortmund - ending an 18-year association with Mainz as player and coach. Little wonder then that Saturday's opponents still have a special place in the heart of the two-time title-winning tactician, who made over 300 league appearances for the 05ers - all of them in the second flight, the vast majority up front. On his first competitive return there, in April 2010, he admitted beforehand to being "really glad that Mainz can't be relegated now, so any points we take away won't be crucial from them". He need not have worried on that account, as a single goal from - the first in a Mainz shirt for the striker currently riding high in the Bundesliga scoring chart - ensured an unproductive "homecoming" for the man rearded as an FSV idol. Tuchel for his part had acknowledged in the run-up that "if our fans chant Jürgen's name, it's because he's earned it. That's not something I'm envious or jealous of". A coach very much in the Klopp mould, albeit with his own unique twist, Tuchel has rapidly attained the same kind of cult status his illustrious predecessor enjoyed. After steering Mainz clear of the drop in his first season in charge, he led them all the way into the UEFA Europa League in his second. That success brought in its wake an inevitable exodus of star names from the provincial outfit and their young trainer accordingly had to undertake a major overhaul last year. That remains a work in progress, but the signs are that the Tuchel philosophy is starting to pay dividends once again. Already renowned as a master tactician, he will doubtless have something up his sleeve to try and make his colleague and friend Klopp's latest return to pastures old another occasion to forget.